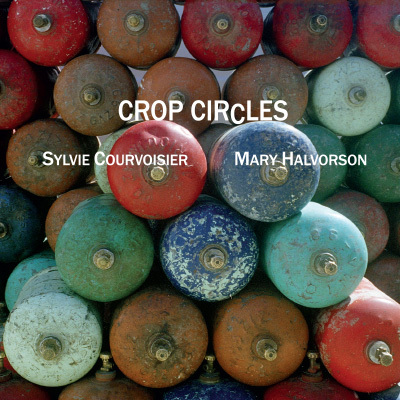 Sylvie Courvoisier’s new album with Mary Halvorson, called Crop Circles, marks the first time that the two have worked together, and it’s indeed a rare treat: a meeting between two of the most inventive musicians working in improvised music today, and an opportunity for listeners to hear the magnificent sounds that result. Recorded in August of 2016, Crop Circles is, as the title suggests, a sublime collection of shapes and figures, one that is alternately awe-inspiring and inscrutable. 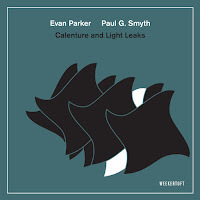 Sometimes repeating , sometimes spiralling off into new configurations, these shapes are irrefutable proof - not of extraterrestrial life, of course, but of the creative prowess of these two musical heavyweights. 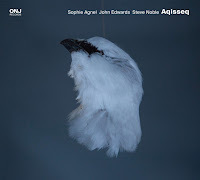 “La Cigale” (literally, “the cicada”) is an introduction that somewhat typifies the approach that Courvoisier and Halvorson take throughout the album: elliptical melodies, played in conjunction, that soon scatter off in oblique, sometimes unexpected, directions. What starts in “La Cigale” as a duet between the two that is slightly disjointed, soon becomes a frenetic dialogue - Courvoisier using the piano’s action as a way to evoke the distinctive vibrato of the insect after which the piece is named, and Halvorson running at a breakneck pace through a wide variety of chord shapes. The brief “Eclats for Ornette” follows a similar structure, but it is even more frenzied; here, Courvoisier issues rapid-fire sequences of notes that occasionally amass into violent, pounded bursts, while Halvorson holds her own with blazing runs up and down the neck. One of the most melodic pieces is “Double Vision,” which is based on an angular theme that is somewhere between whimsical and sinister - this is due to the fact that Courvoisier and Halvorson never seem to fully adhere, leaving an uncanny valley of sorts between the lines that they produce. Not all of the pieces are so high-strung, of course. 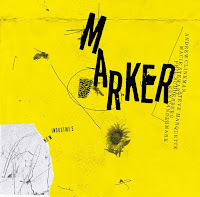 “Absent Across Skies,” while always seeming to teeter on the brink of eruption, maintains a kind of nervous tension - the central melody acts as a check, so to speak, for the wilder, more impulsive, stretches that occasionally bubble up. Although it’s the longest track, the sense of constant pressure pushing on all sides of the piece keeps the listener invested in what may or may not happen. 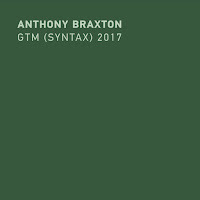 Compared to a few of the other tracks, “Your Way” is downright lovely; rather than obliqueness, the musical motif here seems to be rooted in a whirling, dream-like impressionism. “Woman in the Dunes,” while not explicitly “beautiful,” is an exploration of the textures and tones that Courvoisier and Halvorson can conjure up. Courvoisier moves from notes that are knotted together in pristine, twinkling clusters, to rumbling undertones. Halvorson’s use of pedals to shape and alter the sound of her guitar is in full display here, with notes that bend, stretch, and moan. Calling the album Crop Circles was not a bad move by Courvoisier and Halvorson, as it captures some of the reasons that the recording is so special. First and foremost, the two musicians are masters of combining the familiar with the, well, unfamiliar; like flying over the commonplace sight of a corn-field, and seeing cryptic symbols laid out beneath you, the two always seem undercut their melodies with moments that are perplexing, unexpected, or slightly slanted. In addition, the rhythms and shapes that the two produce together are never straightforward or easy-to-read - as it would be in the event of having to decipher an alien language, the listener is expected to tilt their head, toss away their preconceptions, and open their ears. But unlike crop circles, the music is not a hoax. 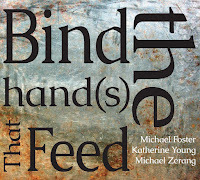 Nice review of a very enjoyable release but this is a follow up session to a performance by the two eight months earlier at the Cornelia Street Cafe.